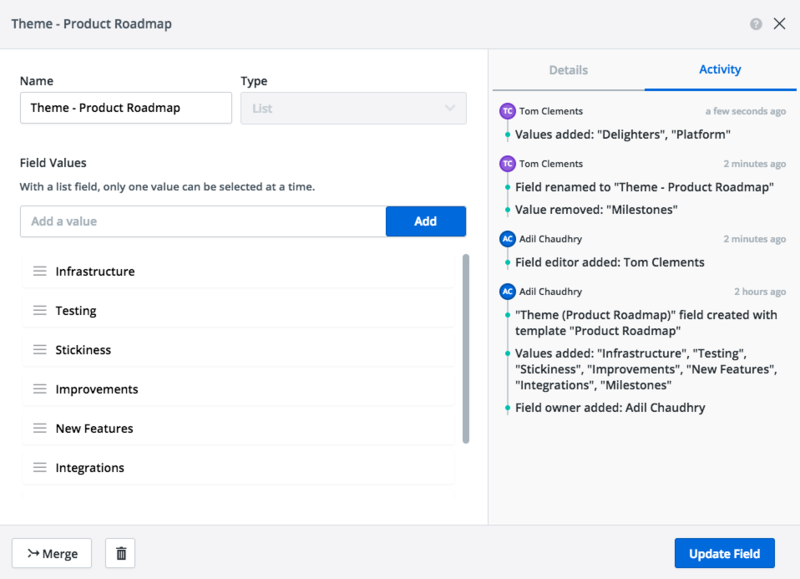 Fields added to a roadmap can be edited any time in the field card. You can open the field card in the Items Table. 3. In the field card, change the field Name as needed. TIP: If you're editing a Free-Form Field, this is the only part of the field you can edit. 4. To add a new field value, enter the value and click Add. 5. 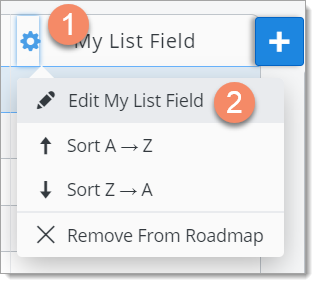 To re-order values in the list, drag them up and down in the list and drop them in their new location. 6. To delete a value in the list, click the Delete icon. 7. When you're done, click Update Field. When a field name or type is changed. When a field is starred or unstarred. When Editors, Owners, and Viewers, are added, removed, or have their permissions changed. When field values are added, deleted, or renamed. Who can edit a field? 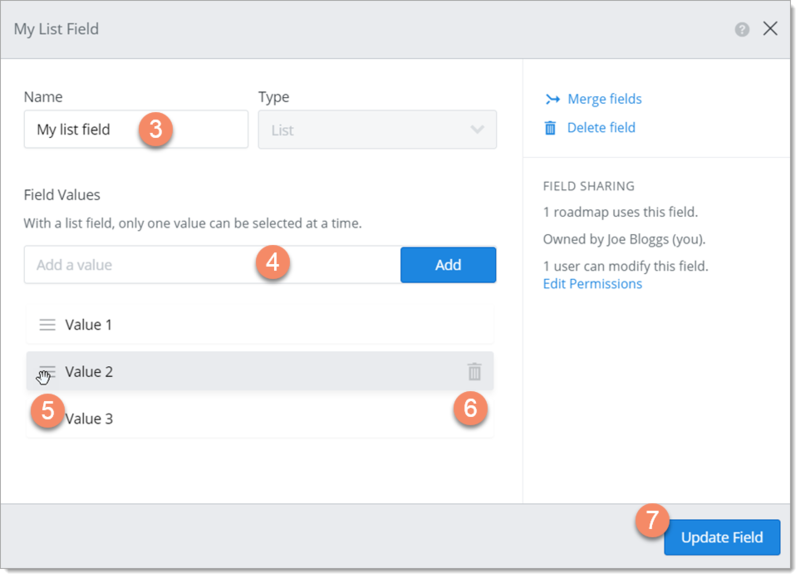 To edit a field, you must be the field's Owner OR the field's Owner must share the field with you as an Editor (see Add field Editors and change field permissions).